I had never thought of salmon as fall food. 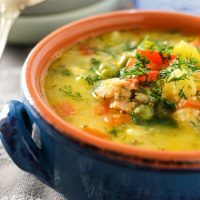 Pumpkins, squashes, soups, stews – yes, but salmon, not so much. 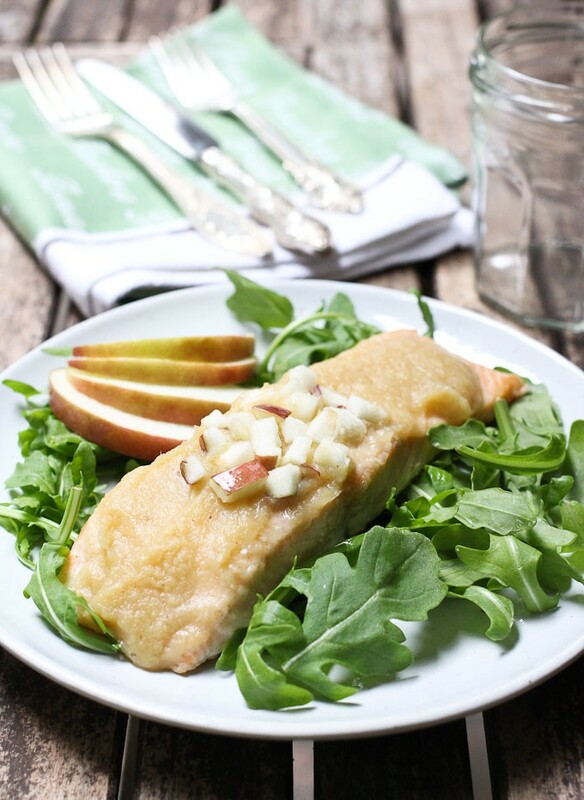 That was until I made this Roasted Salmon with Apple Sauce last week. Of course, you can make it year round but it kind of works so well with the fall theme thanks to apple sauce. 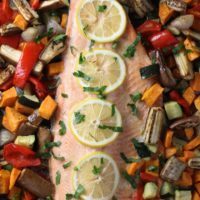 Since salmon cooks so quickly, it never fails as a healthy dinner prepared in under 30 minutes. And who would think that simple applesauce makes this dish so sophisticated? 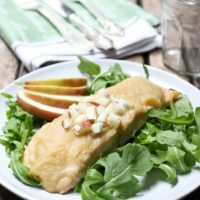 If you need to impress someone with your cooking skills, this Roasted Salmon with Apple Sauce recipe is for you. 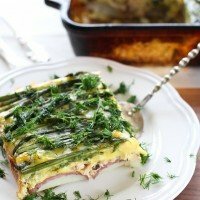 It tastes great right out of the oven and is also fabulous when cold. 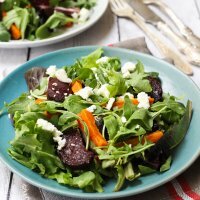 You can serve it on top of mixed greens or arugula as a quick lunch. 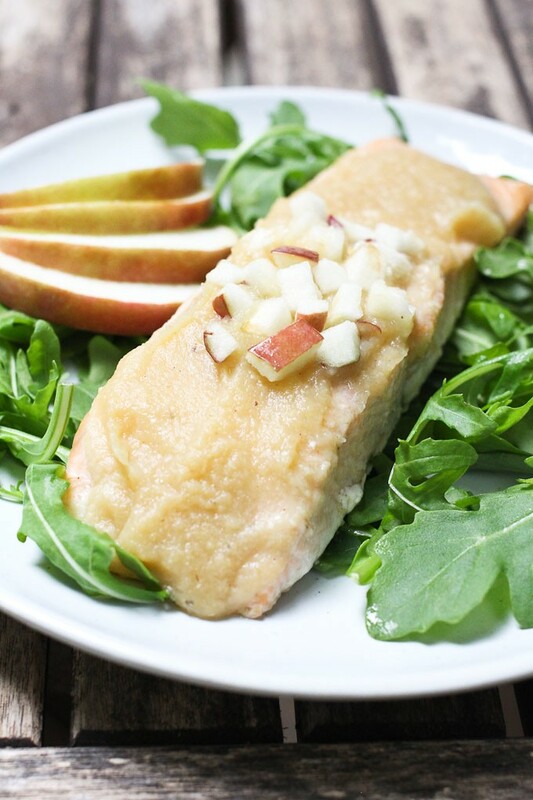 This Roasted Salmon with Applesauce is very delicious and easy to make. 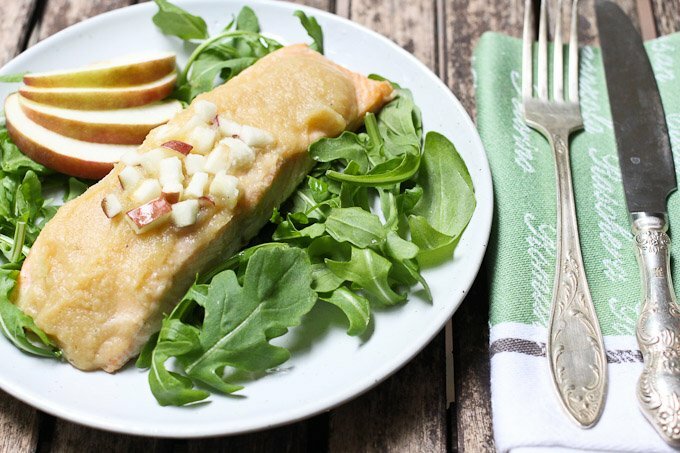 Since salmon cooks so quickly, it never fails as a healthy dinner prepared in under 30 minutes. 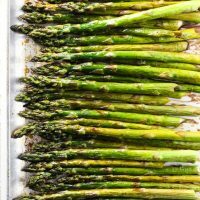 Place the applesauce, garlic powder, ginger and nutmeg in a small pot. Mix well and warm it up over medium heat. No need to boil or even bring it to a simmer just needs to be a bit on the hot side. Rinse the salmon fillets and pat them dry with a paper towel. Season with salt and pepper and generously cover with the apple sauce. Place the filets in a baking dish. 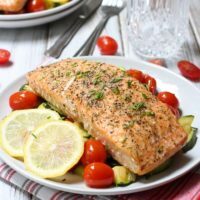 Place the baking dish in the oven and roast the salmon for about 20 to 25 minutes until the fish is cooked through.